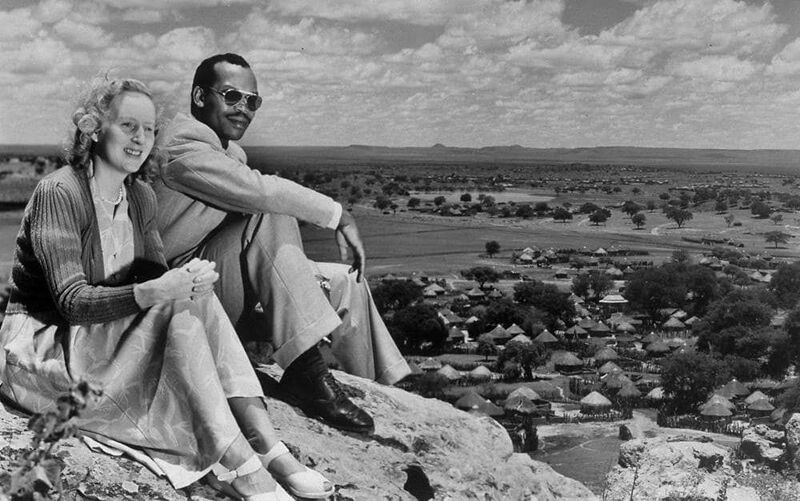 Ruth and Seretse Khama's love affair has won the minds and hearts during the apartheid era. The information in this article belongs to Bamangwato royal archives that contain over 30,000 pieces of special works that done over the past decades. 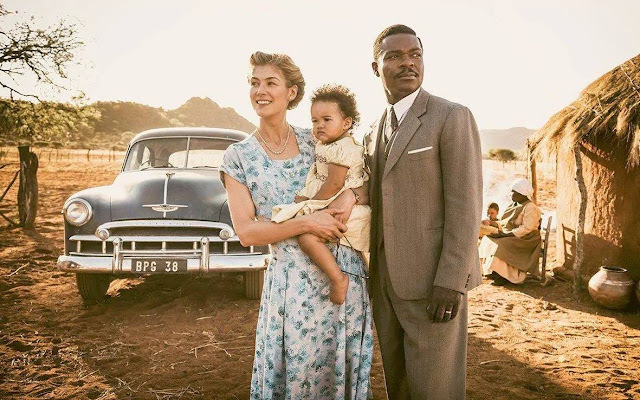 The story of Seretse Khama and Ruth Williams, one of the greatest tales of love in the twentieth century, whose love story defied two governments and rocked the world as the couple's interracial affairs were constantly dramatized on the big screens and films in Britain and beyond. However, it was not for good, but to demonize the relationship. Sir Seretse Goitsebeng Maphiri Khama, was a first President of Botswana from 1966 to 1980 and born in British Protectorate of Bechuanaland (Botswana) from Bamagwato tribal family one of the most powerful African royal families until to-date. Seretse was educated in South Africa before moved to the United Kingdom where he met his angel Ruth Williams while attending law school at Balliol College, Oxford University in England together with the Kenyan closer friend Charles Mugane Njonjo. For Seretse being guaranteed the opportunity to study at Oxford University which was regarded as a royal academy, it was a great move done by his worldly-wise uncle, Tshekedi Khama, whom later disowned him for engaging in a love affair with a white woman. The romantic affairs started just one evening when Seretse saw a tall, blond and beautiful white woman in a passenger “I have met a girl and I think you should meet her! Somebody I should like to be my wife.” Prince Seretse Khama told his closest friend Charles Njonjo and he couldn't believe what his eyes have seen. One evening in June 1947, Ruth accompanied her younger sister Muriel to the Nutford House hostel of London Missionary Society hospitality that associated with the Congregational Church where Muriel attended school. Seretse already knew about Muriel who introduced Seretse to her elder sister, but no one knew that Seretse was the heir to the throne of Bamangwato kingdom in Bechuanaland (Botswana). All that Ruth she knew was this man was studying law at the Inner Temple. Ruth later recalled: ''I saw a tall, well built, smiling African with wonderful teeth, broad shoulders, and perfect manners.'' They also found they shared a common interest in jazz. Three months after meeting, Seretse gathered up enough courage to ask Ruth out. To be on the safe side, Seretse called Ruth at her office and said, “I have two tickets for The Ink Spots [a popular jazz group]… I’ll get three if you’d like your sister to come along with us.” Ruth sassily replied: “I’d love to come – without my sister.” This was the beginning of the love epic! Ruth and Seretse Khama with ex-President of Botswana Ian Khama and his elder sister Jackie. Despite Seretse’s strong feelings for Ruth, their relationship developed slowly. “We enjoyed being together, of course, but our relations, though friendly enough, it was quite platonic… I learned that she was the daughter of a London salesman and that she worked as a typist at the famous insurance firm of Lloyd's in London,” said Seretse. After their first date, they gradually spent more time together. Ruth watched Seretse play football, but not boxing as she found that too brutal for witnessing people beating up Seretse in the boxing ring. They chose to meet during ice-skating but Seretse was not good on the ice. Whenever Seretse had some news – if he’d passed an exam – Ruth was the first person to be told. On time, Seretse recalled how angry he felt when people saw them together and cast aspersions upon their relationship especially the media that always seek to blow out the relationship. The fact that he was royalty made it even worse. “Perhaps the most humiliating of my experiences has been the attempt [by the press] to cheapen my romance with Ruth, to prejudice the public against us by making it seem like a shocking scandal. Ours was no dance-hall or ‘pick-up’ as some people have claimed,” he told Ebony magazine in 1951. Seretse and Ruth, like any dating couple, didn’t know they were falling in love at the time. “But now that I think back on it,” Seretse said in Ebony, “We both must have had subconscious fears of what the future held for us if we allowed ourselves to become serious. There was a feeling in my land – strong feelings about what was white and black – and I suppose both of us wondered secretly what future could there be for us: Imagine an African prince who regarded as Kgosi and role model of the community ended in the hand of a white English secretary.” “But in matters of love the heart is seldom ruled by skin coloring,” Seretse said. “She did love me, and I knew that this was the woman I wanted for my wife – the woman I wanted to be my helpmate in bringing guidance and knowledge to my people in Bechuanaland." Others, however, saw things differently, and the challenges continued for the couple. When planning their wedding, they were hampered by religious officials who kept saying they needed approval from the local bishop. Once wed, they had to overcome even more obstacles. Telling her father the news of her marriage in 1948, Ruth found she was thrown out of the family home. In London, they couldn’t find housing as some landlords don't want a mixed couple living in their property. William Wand, the Bishop of London, he also refused to give a blessing to the nuptials. The bishop actually telephoned the priest that fateful morning of the marriage to tell him not to perform any wedding officiating. As a result, the couple decided to have an informal civil ceremony and a few days later, they tied a knot on 29 September 1948 at Kensington Register Office. After they got married, they lived in a small London flat for a time. Seretse was trapped in foreign soil, in Botswana, Seretse’s uncle, Tshekedi who was kgosi (King) of Bamagwato at the time, said: “If he brings his white wife here, I will fight him to the death.” The British Government was hugely concerned about what an interracial marriage would do to international relations between the UK and South Africa that had just passed a law against mixed marriage. Seretse and his newly married wife went through several waves of social bigotries brought about by their controversial relationship. Bowing to pressure from the apartheid regime in South Africa, the British government attempted to stop the marriage proceeding, but never succeeded and then went on to prevent the couple from returning to Botswana. For eight years they lived in the hideout in England, until the Bamangwato sent a personal cable to the Queen in protest, due to the pressure from ordinary people in the community who wanted to see him returned. According to the testimony of the insider, Ruth after the left UK she stayed with us in our Joburg family before moving to Serowe, in Bamangwato tribal home. 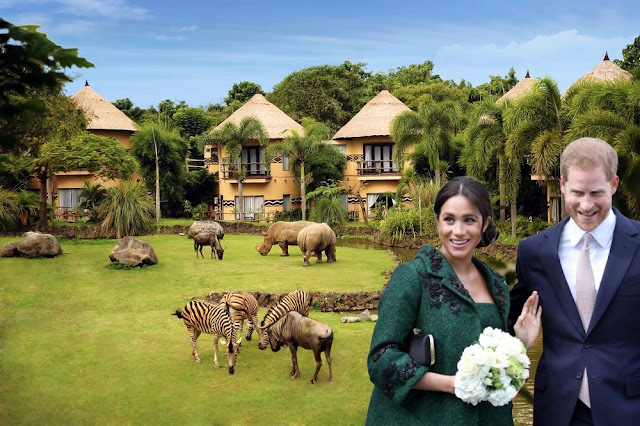 British authority was trying to trick the couple to leave Botswana. Ruth had refused to sleep after gave birth to Jackie, fighting off the effects of the doctor’s sedative, until Seretse reached her bedside, holding her arms, and the baby. I tell this story now because it so powerfully illustrates Ruth’s iron will and determination. Her father, as furious as Tshekedi about the interracial marriage, had turned her out of their Blackheath, London home. Her missionary sister Muriel and her mother were in England, and so at a time when pregnant women feel vulnerable and want family close by, Ruth was “alone”. But weeks after Jackie’s birth, the couple was forced to go to Lobatse from where they flew back to Britain. During their five years of cold and miserable exile, the tribe in Bechuanaland, became restless and unmanageable, as they demanded the return of their chief and his wife. For, contrary to Tshekedi’s predictions, thousands of them had roared their acceptance of the couple in the Kgotla – their tribal parliament – where everyone had a voice, even if a meeting went on for days. We ask for bread and you give us stones,” they berated the British who had assumed direct rule in the absence of the “wicked” uncle who had gone into self-imposed exile, away from Serowe. During the meeting the riots erupted, people threw stones to one another and the police were called in as the increasingly unruly tribe made its feelings known. A worried Seretse told his uncle he was prepared to renounce his chieftainship if the British would let him go home. The British were embarrassed by the worldwide opprobrium from their cruel treatment of the couple, later the deal was struck. 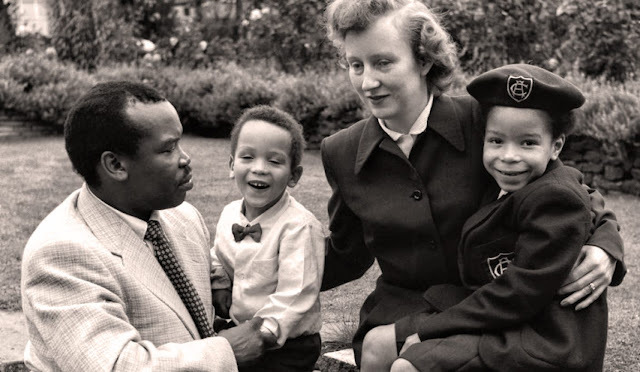 In 1956 the couple allowed to return back home in Botswana with Jackie and little Ian who born in London, him too later became a president of Botswana in 2008. As the winds of change howled throughout the African continent, so the British began readying the Bechuanaland Protectorate (BP) as we were called the country back then, before independence. After Seretse returned he joined politics, first he formed a political movement the called Botswana Democratic Party. The original photo of Ruth Williams Khama and Seretse Khama, Bamangwato clan in Botswana. Him and Ruth by his side, begun traveling widely throughout all towns, cities, and villages of a sparsely populated country the size of France, trying to educating voters. Gaborone, a railway town-station, was chosen as capital instead of Mafikeng. Queen Elizabeth II later recognized Seretse contribution and was awarded an OBE (Order of the British Empire). In 1965 Seretse won the elections with an overwhelming majority and Queen Elizabeth II knighted him officially and on 30 September 1966, he became the first President of Botswana. Ruth, like a forsaken Englishwoman who had been cast out by her family completely, and gang stalked by her government for being apparently unpatriotic, she triumphed, when Botswana got its national independence, during the celebration she stunningly dressed in a red gown with elegant shoulder bare. I rushed home at midnight, jumped on my sister’s bed and told her I had danced with Seretse during the inauguration. The death of Seretse Khama at a very young age of 59 in 1980 from liver cancer hit Ruth particularly hard. Not only had a great love affair come to an end but so too had her busy and fulfilling life as the country’s first lady derailed. She moved from the large and elegant double-storey State House into a simple bungalow on a family farm outside Gaborone where she lived “alone” with domestic staff. This is the same place where she took me to conduct interviews for her autobiographic book that I had suggested. Seretse had been dead for a year and I sensed the struggle she was having to adapt to her vastly changed circumstances. After the book interviews completed in 1983, we only saw each other less often but she came to stay with us on some occasions. One day in September 1999 she rang me to suggest we have tea at Joburg’s Hyde Park Corner, where we spent hours chatting as I caught up on her children’s lives. Thereafter we met often whenever she came to Joburg for the treatment of her throat cancer. When we were out together nobody, except for a few waiters, recognized the slender woman with one pale blue eye and one green. She’d pat the back of her head, in a gesture that became familiar to me, and clear her throat, touching her lips with her fingertips. It’s catarrh, I must keep off sugar,” she’d say. She never lost her English accent although she did try to learn Setswana, she gave up, telling me she was always too busy to do so. We were close but she kept her own precarious state of health from me. It was a typical understatement from the former First Lady of Botswana, who led a stable country that discovered its diamonds soon after Independence and wisely managed by Sir Seretse. Madam Ruth died on 22 May 2002. Her funeral service held in Gaborone’s cathedral attended by thousands of people including celebrities, politicians and royal families from all over the globe. I drove with members of the Khama family behind her cortege through the capital, its streets lined with sad crowds. That evening a violent hailstorm, unusual for winter, the sky was a surreal and fiery red. Just like the young Ruth’s hair, I thought. As the light faded I felt her direct gaze, heard her soft musical laugh and the clearing of her throat. Days later she was laid to rest beside her beloved husband Seretse in the Khama family graveyard, (United for Eternity), on a hilltop overlooking Serowe. Seretse as Botswana's first president in 1966, the country underwent significant economic and social progress, while Ruth was also politically active and influential First Lady. Ultimately, though, their love triumphed over adversity. The couple happily remained in their marriage until the death did them apart! Seretse and Ruth had one daughter, Jacqueline born in 1950 and three sons, Ian Khama born in 1953 at Chertsey, United Kingdom ( Ian too became Botswana President from 01 April 2008 to 01 April 2018), and his twin brothers Anthony Paul (named Anthony after Tony Benn, who had led the campaign to end Seretse’s exile) and Tshekedi Khama born in 1958 and named after his troublesome uncle. Tshekedi and Tony were born in Serowe just after leaving Britain.